"The road between Barquisimeto and Merida, #Venezuela. 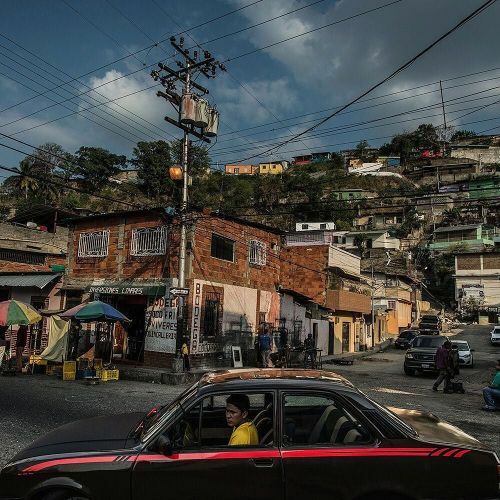 The photographer @meridithkohut traveled across Venezuela with @caseysalbum, a @nytimes reporter who has been chronicling the country's people, politics, language, quirks and culture every day for the last month. "I traveled across the country on what seemed, to many, the eve of a disaster," writes @caseysalbum, who just moved to Caracas. "It showed in the faces of the people along the journey, 1,200 miles in all, starting at the coast, winding through the Andes and finally dropping down into Venezuela's vast but dying agricultural plains." Visit the link in our profile to read more from the eyes of correspondent who moved to Venezuela just as this country began heading deeper into economic disarray. And follow @caseysalbum to see photos from his travels." By nytimes on Instagram.